Council’s main office in Bega will close on Friday December 23 at 3:30pm, and reopen on Tuesday January 3 at 9am. The after-hours phone will be staffed ready to respond to emergencies, call 6499 2222. 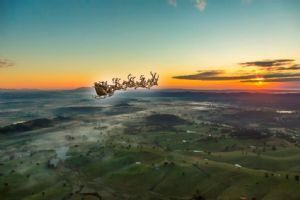 All Bega Valley tips are open as usual over the Christmas and New Year period with the exception of Christmas Day when all sites will be closed. Go to Council’s website to check operating hours. Household bin collections will happen as normal. Sapphire Mobile Preschool: Candelo service closes on Thursday December 15 at 4pm and the Bemboka service closes Friday December 16 at 12 pm. Candelo reopens on February 1 at 9am, Bemboka on February 3 at 9am. Eden Preschool: Closes Friday December 16 at 12pm and reopens January 31 at 8:30am. Bandara Children’s Services Bega: Closes Thursday December 22 at 12.45pm, reopening January 17 at 7:45am. Eden Child Care Centre: Closes Thursday December 22 at 12.30pm, reopens Tuesday January 17 at 5:30am. All libraries will close at 3pm on Friday December 23, reopening Tuesday January 3 at 9:30am. The “Waves and Water – Australian beach photographs” exhibition will close at 3pm on Friday December 23 and reopen at 10am on Wednesday January 4. This iconic collection of photos from the Australian Maritime Museum runs until February 4. The Centre will close at 5pm on Friday December 23 and reopen on Tuesday January 3, running 8:30am to 5pm, Monday to Friday with spaces available for hire. Need to stay connected to the office while on holidays? Try the new co-working space. All enquiries to Linda Mayo on 6499 2264. All pools will close on Christmas day. For public holiday opening hours, check with your local pool. Bega Valley Shire Council wishes everyone a safe, happy and relaxing Christmas!